You’ve landed at the home of Pittsburgh very own Shelf Life String Band. We are motley crew of pickers who love making music as much as enjoying it. While we’ve gone through a few changes over the years we have always strived to bring you high-energy and fresh acoustic music. If you’ve been to the Park House on a Wednesday night in the past 5 years you know our ever-expanding repertoire is filled with surprising covers and originals. The duo quickly became a trio, adding mandolinist Andy Boehm, and the project evolved to incorporate more of a bluegrass flavor. To accomplish this change, Joe modified his playing, making the switch from six-stringer to the five-string banjo. The trio worked for several years to refine a heady blend of original and traditional material, watching a handful of other musicians join and divorce the project. Unfazed as these musicians came and went, the core Shelf Life continued to pursue gigs at festivals, open mics and parties to get their music out to the masses. It was a successful endeavor. By 2011 the core Shelf Life had landed themselves a weekly gig at The Park House, a bar/restaurant in Pittsburgh’s Deutschtown neighborhood. Now, in addition to one-off gigs, they had a consistent opportunity to fuel the initial conquest… Bringing more attention to string music in Pittsburgh. To keep the crowd interested, they began to incorporate covers of artists one would never hear in the bluegrass style – The Coasters, Pink Floyd, The Meters, Ben E. King, and more. The Shelf Life had another success on their hands. Bluegrass Night was packed on a weekly basis, and the core strove to build on their successes by moving the trio to a permanent full five-piece ensemble. In 2012, the trio joined forces with violinist Rocky Youhon and bassist Trish Imbrogno, completing the bluegrass outfit now known as the Shelf Life String Band. 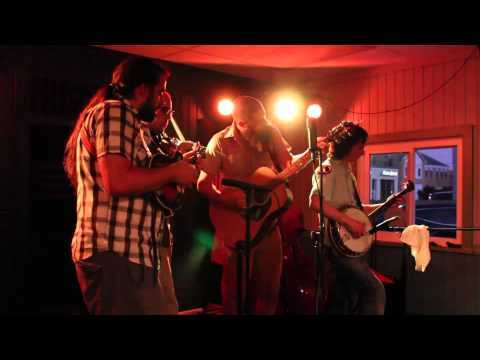 The newly formed five-piece Shelf Life String band immediately began developing their sound, taking on every show possible. Weekly rehearsals lead to additionally weekly engagements and opened the doors to a myriad of high-profile performances. 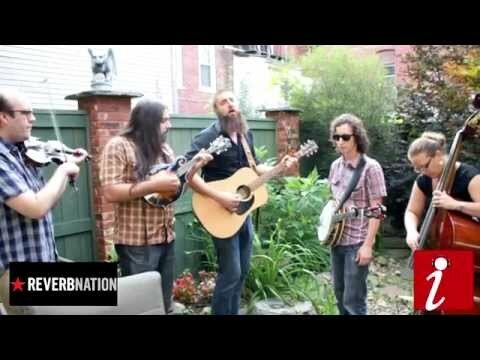 They have shared the stage with Greensky Bluegrass, Cornmeal, Pokey LaFarge, Mac Martin, Gangstagrass and more. The quintet also had the honor of performing for Pittsburgh Mayor Bill Peduto’s campaign at events throughout his election run and was featured during his inauguration party at the Senator John Heinz History Center. Here we are all dressed up in Heinz Hall. We we're lucky enough to play on the balcony prior to the Trey Anasstasio and Pittsburgh Symphony show.